Umhlathuze Electrical comprises an expert team of electrical contractors, lightening protection and solar system specialists. The company is based in Richards Bay and has a respected track record of delivering a high standard of service to the Zululand community. Umhlathuze Electrical has the necessary resources, enthusiasm, experience, financial stability and above all necessary commitment to ensure quality service across all levels of its business. The senior management team has over 28 years combined experience, ensuring their clients that the work carried out is by expert professionals in their fields. The company's client base includes a range of domestic, industrial and government customers. Past experience with supply authorities such as Eskom, a range of municipalities and Transnet ensures that Umhlathuze Electrical is a preferred supplier. The relationship that has been developed with these supply authorities has resulted in a number of customer referrals for advice, installations and even minor work. Melusi Khumalo , managing director of Umhlathuze Electrical says, "We are currently the supplier of choice to many leading South African brands, ensuring you peace of mind that a professional, ethical and expert team will help you with any electrical services you may require." The company can offer its clients an affordable service, as well as project management and delivery in the electrical field that will be completed to your satisfaction. Khumalo says, "I believe that by applying all the skills of our professional and highly experienced employees, we can provide efficient and successful project delivery. It is our mission is to strive for excellence at all times." Renewable energy solutions e.g. 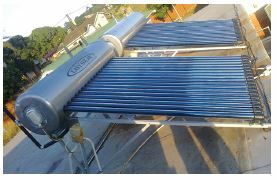 Photo voltaic panels, solar geysers, inverters etc. 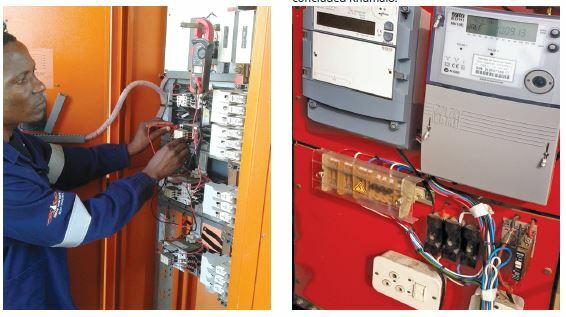 Khumalo was appointed by the Zululand District Municipality to investigate lightning strikes, and produced a feasibility study to prevent future damage caused by strikes, confirming Umhlathuze Electrical's expert ability and credibility in the lightning protection field. The services of a professional engineer are used for designs, specifications, costing and project management. This innovative practice allows Umhlathuze Electrical to achieve greater heights, which are not generally reached by ordinary contractors. The engineer assists the company's team of electricians in interpretation and in developing a better understanding of clients' designs, specifications and further assists in the execution of projects. The company ensures the safe usage of electrical apparatus, in a cost effective way, by its clients at all times. Umhlathuze Electrical also assists clients to understand how their electricity tariffs are structured, thus saving them on the ever increasing electrical costs. The Richards Bay area is a fast growing area with a lot of opportunity through infrastructure development for the company to grow. "We further believe that the business relationships that we enter into will go a long way in bringing our small business enterprise into the mainstream of the South African economy," concluded Khumalo. Our vision is to become a preferred ISO 9001 certified supplier and attain greater heights in business as one of the preferred supplier in the electrical industry. To provide professional and personal service in the industry for our clients at a competitive rate. Identify, develop and nurture talent for dynamic young professionals who want to grow in this industry. To become a true competitor and an employer in the electrical construction industry.